Cloud adoption, mobility, social media and the consumerization of IT are transforming many business activities for enterprise employees, partners and customers and eliminating the traditional network perimeter. Organizations have to change how they manage security and user identities if they want to keep their data and applications secure. 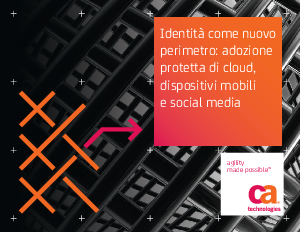 Read this eBook to discover how a centralized identity and access management service can help you create a new identity perimeter.